So what’s going on here? The available data break expenditures down into major groups like hospitals, physicians, drugs and other institutions (which includes long-term care for seniors). 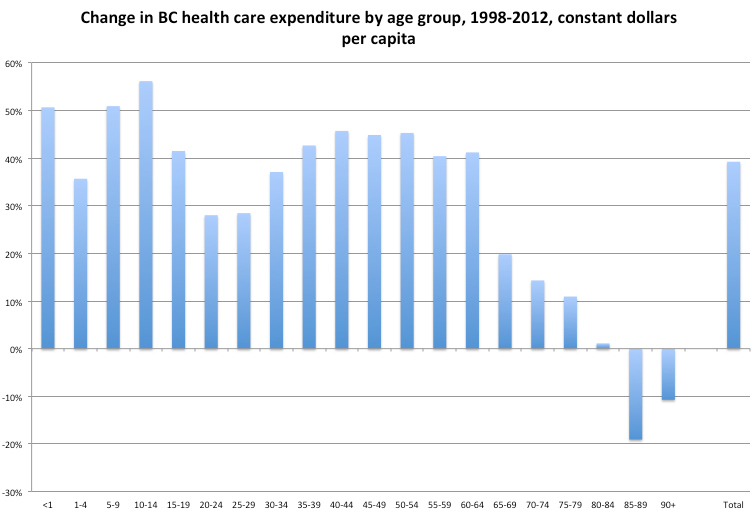 When we look at these breakdowns, we find that the main driver is residential care cuts after 2002. In total budget dollars, expenditures for “other institutions” peaked at $1.65 billion in 2002, then fell to just under $1 billion in 2012. During that time total provincial health care spending grew from $10.7 billion to $17.2 billion, so these cuts can get buried in the overall funding picture. Compounding that dollar cut are inflation and population growth. The decade from 2002 to 2012 was clearly a dismal one for residential care, with expenditures per person falling by more than 60% for all groups of seniors 65+. 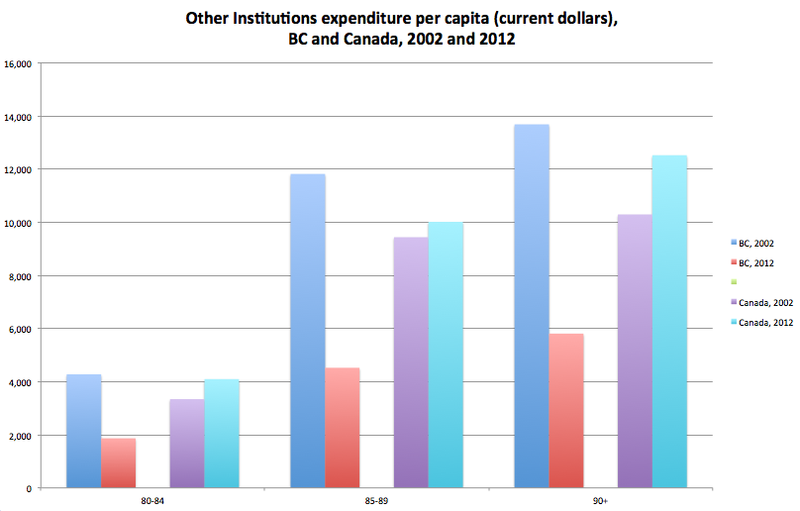 If BC could be brought up to the national average, it would dramatically improve health care services for seniors. Home care is another area of interest in terms of the real impact of cuts on seniors, but the data do not allow us to do the same type of comparisons. But the bottom line is clear: residential care services have been experiencing austerity for a long time, and this adversely affects the quality of care we are providing to seniors in BC.